My husband just sent me this link and it is a worthy repost. Don’t get me wrong, I love etsy. I’ve sold dog beds, hair clips, toddler clothing and baby items on etsy, but I also love humor. I also really love this post because my hubby would be pretty miserable if I asked him to pose for this pic. But then again this guy doesn’t look super thrilled. Check out the link for more of these photos. This entry was posted in Because it's funny and tagged etsy, humor. Bookmark the permalink. Thanks for the reminder of etsy! I have things on Ebay and they are just not selling! 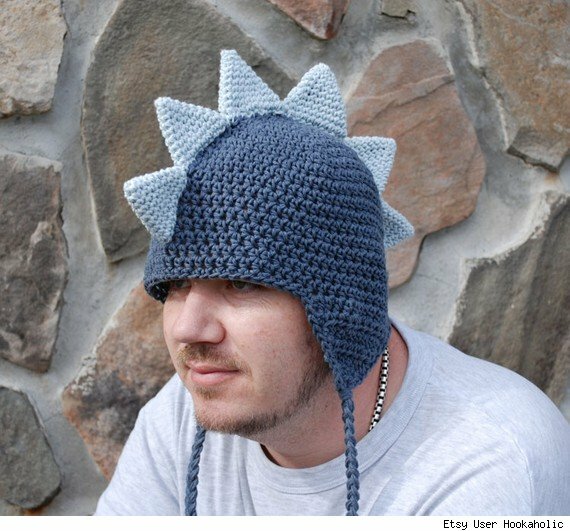 So there used to be this AMAZING blog by a woman that was a knitter – and she posted all the most hysterical and awful knitting projects out there – it was hours of entertainment – sadly she stopped posting, but it was brilliant while it lasted. Love it. Wonder why the blog shut down. Surely she didn’t run out of content?